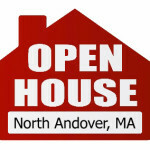 Below you’ll find a list of all open houses in North Andover MA. Our list is real time straight from the Massachusetts Multiple Listing Service (MLS), check back frequently and bookmark this page for the latest North Andover MA open house lists. Carefully check the open house dates and times, as this report is showing ALL week day, Saturday and Sunday North Andover open houses, and is continuously updated. Contact us if you’d like more information about any of these homes, we specialize in North Andover Real Estate! See All Homes For Sale in North Andover MA!